If you have finally decided to go on that China tour you have been planning, here is a list of 10 things to see and do on your China tour. 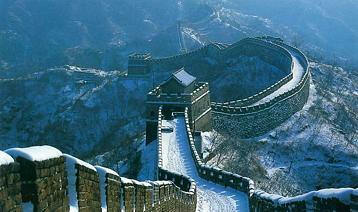 One of the must sees on a tour to China, the Great Wall of China is an amazing man made wonder of the world. This wall is the one of the symbols of China which played a great role during the Chinese revolution. It was built for defense purposes to wade off invaders from the north. It extends to a length of about 5000km. Located in Xian, this is another amazing man made wonder of the world. This is the site which houses about 6000 life sized pottery warriors and horses of the dead emperor's guards during the revolution. A major tourist destination in Xian, its amazing to see each pottery soldiers weigh over 300kg standing 1.86m row after row in a battle formation. The Dazu Rock Carvings dates back to the years of the Tang dynasty which continued until the Ming and Qing dynasty. It now enjoys popularity alongside the Yungang and Longmen Grottoes. The Carvings refer to all the cliff side carvings in the Dazu region which is one of the largest and preserved cultural relic sites of China. This area has about 50,000 Buddhist, Taoist and Confucian rock carvings and 100,000 characters of inscriptions on all the carvings. * The Li River Scenery. Starting from the Mao'er Mountain northeast of Guilin, the Li river flows southeast about 437km passing through 5 different provinces Guilin, Yangshuo, Pingle, Zhaoping and finally meeting Xi river in Wulin. This area is the largest and beautiful river scenes in China which attracts millions of visitors all year round. The 83km waterway from Guilin to Yangshuo is the most significant part of the Li River. This part is an area which makes you appreciate nature best due to its rolling hills, steep cliffs, artistically shaped caves - the perfect paradise worth discovering for an explorer. Among all the cities in China, Shanghai boasts of the best Acrobatic Troupe. This troupe has performed around the globe and proves to be a wonderful night out as a visitor in Shanghai. The tightly choreographed and artistic shows are performed regularly at the Shanghai Center on Nanjing Xi Lu. Something indeed to add to your list of to dos on your next Shanghai tour. * Ba Peoples Hanging Coffins. This is an interesting sight to see in Bawu Gorge in Chongqing. It is a display of about 108 hanging coffins which is a representation of one of China's ancient histories. It was believed in the past that the higher a dead man was buried, the more dutiful their descendants would be, and hence the ranking coffin represented the rank of the dead person. The Three gorges along the Yangtze River which is the Qutang Gorge, Wu Gorge and Xiling Gorge all on the upper reaches of the area. Extending from Sichuan province in the west to Wuchang in the east, the 189km long river is a popular water route for many tourists. The scenery along the Yangtze River cruise is something worth seeing for nature lovers. It has also become a regular water way trade route between the East and the West. With nine of the world's 14 peaks above 8,000 meters in China, including the two highest, China is known to be the mountaineering capital of the world. With a lot of tourists from all over the world, most hikers team up and travel long distances discovering hills and saves in the mountainous regions in China. Even if you do not know how to practice this sport, it makes for good entertaining purposes. It is practiced anywhere in China, so wherever you find yourself, you can always enjoy some martial arts. Additional places to go are the historical squares and sacred temples in Beijing, the Old Town of Lijiang and meeting the local minorities in the Yunnan and Tibet province. For comments and inquiries about the article visit China Tours and Travel. Copyright @ ChinatownConnection.com Houston Chinatown Portal. Things to do in China.